Abstract: Chemical and biological sensing is a new arena where planar integrated photonics may become the disruptive technology that enables significantly reduced cost per test, massive parallelism, and increased functionality. This talk reviews the ongoing progress at MIT Microphotonics Center on the development of planar resonator sensor materials and devices. We show that high-Q optical resonators can operate in several sensing modes where different molecular species are detected using distinctive yet complementary mechanisms. Using optical resonator sensors as a case in point, we examine the key design attributes specific to the different sensing modalities and the corresponding material/device optimization strategies. Finally, we illustrate that planar integration of photonics, fluidics, opto-mechanics, and active optoelectronics have the potential to establish a new, highly functional “sensor-on-a-chip” platform. 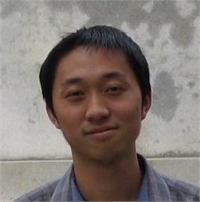 Biography: Juejun (JJ) Hu received his PhD from MIT in 2009 and is currently a Postdoctoral Associate at the MIT Microphtonics Center. Dr. Hu’s primary research interest focuses on the enhanced photon-matter interactions in optical resonant cavities, with an emphasis on chemical and biological sensing applications. His research also covers materials and devices for opto-mechanics, magneto-optics, photovoltaics and solid state light emitters. Dr. Hu has authored and co-authored over 20 refereed journal publications and has been awarded 3 U.S. patents. He will be starting as an assistant professor at the Department of Materials Science & Engineering at the University of Delaware this fall.